Just two days ago, Pete Tong welcomed Zonderling to their first guest mix on BBC Radio 1's "All Gone Pete Tong" after forming just three years ago . Hailing from the north of Holland, Zonderling have received a wide range of DJ support from Oliver Heldens to Tiesto and Hardwell. They had a successful string of releases in 2014 are a kicking the year off with a remix of Eelke Kleijn's "Mistakes I've Made". The vocals are dropped over a cool groove filled with manic bleeps and sounds, working towards a subtle but highly effective drop. The Los Angeles-based Bixel Boys have taken on a wide variety of tunes to rework with their ultra-catchy production style, flipping originals from Kieza, Theophilus London, Botnek and 3LAU to name a few. Their latest remix undertaking comes by way of their take on Le Youth‘s “R E A L,” taking the track’s future house motif in a whole new direction. The pair take Le Youth’s lighthearted house tune and reframe it into a thumping dance floor weapon. The rework contrasts its original counterpart by re-focusing its energy to accommodate a club setting, throwing in funky, bouncing bass lines that provide a bit more shuffle than the original mix. Working in keenly placed vocal cuts, the track leaves the original’s minimal appeal at the door for a brand of future house that is much different than Le Youth’s initial offering. While eclipsing the reputation of the pair’s last release on Size Records may be an impossible feat to achieve, Matisse & Sadko‘s “Persia” has arrived. Forty-seven releases after “SLVR,” Size Records’ discography has once again been bolstered by a big room weapon. Relenting on their melodic lineage which assisted their popularity, the Russian pair’s latest glides past a glitchy vocal sample and into a pungent surge that creates the original’s focal point. “Persia” not only marks Matisse & Sadko’s first release of 2015, but the original also continues Size Records’ surge of big room material into the new year. 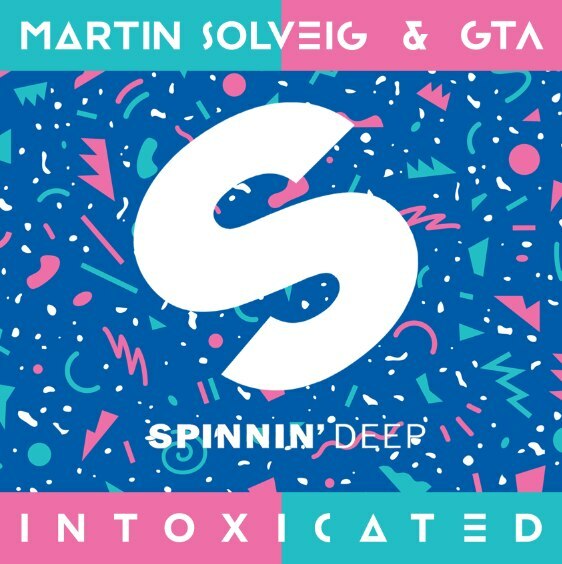 It has been quite a while since we have heard any news or material from producer slash vocalist Martin Solveig, but an unlikely connection with trap and electro house stars GTA has brought his enchanting voice back to life with “Intoxicated.” The Spinnin’ Deep label debut from all three musicians, “Intoxicated” dives into the recent trend of the ‘future house’ movement, the intersection of heavy brass sound engineering and the classic deep house genre. An extraordinarily catchy yet appropriately balanced vocal lays against an instrumental that goes against productions crafted by GTA in recent memory, replacing thumping 808s and blaring electro synths with dark aspects of the essential late-night tune. With original productions coming more sparingly and in more commercially appealing fashion, The Chainsmokers have made a habit of flaunting their best sounds on remix duties. Renditions of Josef Salvat’s “Open Season” and Anna of the North’s “Sway” are two recent examples of the duo departing from their mainstream efforts with execution, and their latest comes in similar taste. Working around Clean Bandit & Jess Glynne’s “Real Love,” The Chainsmokers render obscure horns with house grooves that drift from tradition. The final product is just the sort of organized chaos that makes each of the remixes from the duo unique to The Chainsmokers’ brand of expectations surrounded by the unexpected. Many EDX fans thought they would have to wait until the new year for the Swiss producer to release any new music after his electrifying dual-sided Collateral Effects EP. But, EDX gives fans one last glimpse of summer with his “Dubai Skyline Remix” of Nora En Pure & Sons of Maria’s single, “Uruguay.” The club maestro allows the sparkling piano composition and summery vibes of Nora En Pure and Sons of Maria’s original to stay in tact yet he expertly infuses the perfect amount of bass and bump to stir up some serious nostalgia from the summer season. The beauty of the track lies in EDX’s ability to integrate the popular sounds of today’s dance music with the old school club sounds that everybody loves. Parisian big room evangelist Michael Calfan has had a softer step to his boots of late. Digressing from the key driven energy of “Prelude” to more recent docile house offering “Treasured Soul,” the New Year indicated a leap towards the sound on everyone’s agenda for this sparing studio whizz. With the aforementioned original still in heavy rotation, Calfan dons his hand to label mate and Dutch house aficionado Oliver Heldens, bringing that maintained melodic stamina to instrumental version of “Koala” for Spinnin’s opening remarks of 2015. Calfan’s recent transformation is hard to slam on the merits of quality, but still takes some digesting given the resonance his earlier offerings for Axtone and the like left on the global industry. Behind the reigns of “Koala,” tempered keys and chunky grooves bring things back to life for the resurrected sound of this sparing French heavyweight, one that immediately trumps his prior Spinnin’ single. Fans are just going to have to deal with the fact that Michael Calfan is not batting for the big room sound anymore, as this latest remix is yet further testament to how comfortable the European heavyweight sounds in this new suit of house-favouring output. In 2014, a genre named future house slipped it’s way into festival sets and onto the main stage all over the world with it’s deep yet groovy nature — and one of the most influential spearheads of the movement is Parisian powerhouse, Tchami. Amongst his countless funky remixes and originals released this year, Tchami’s “Promesses” featuring the vocals of Kaleem Taylor caught the attention of fans when it was released on A-Trak’s imprint, Fool’s Gold, for it’s addictive bass bounce. Dutch newcomer duo, Pep & Rash, have given Tchami’s original a future makeover, accelerating the BPM and injecting a magnetic bass lead to give “Promesses” a new disposition. 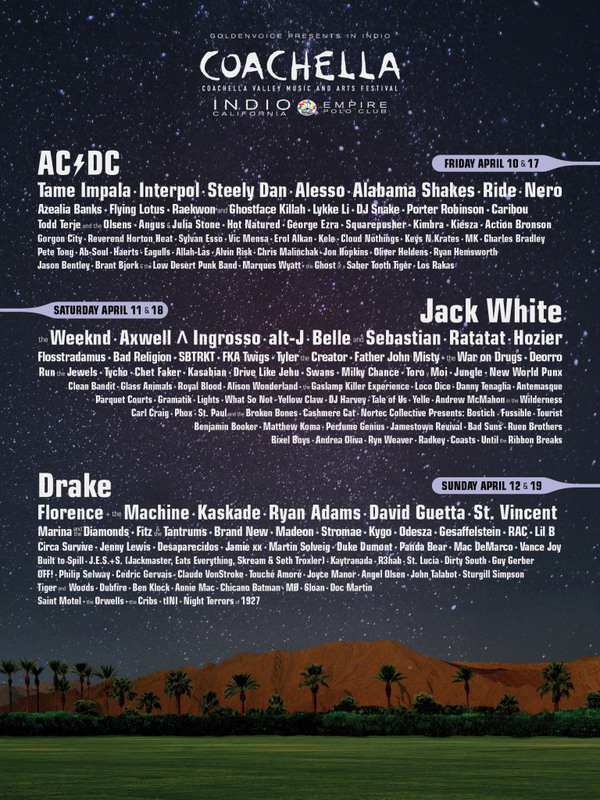 Despite resounding controversy around 2015′s recent line up unveil, it seems as though the novelty of being the proud owner of a Coachella ticket has yet to have worn off. Yesterday, the festival’s official batch of regular sale tickets went on sale at 3 PM EST/12 PM PST and reportedly sold out entirely within the matter of 40 minutes. At 12:39 PST, the official Coachella page announced that the two weekend festival was entirely sold out. To those who have secured their 2015 ticket – consider yourselves the lucky ones.